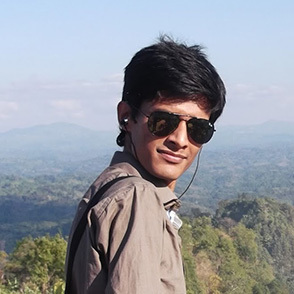 I'm from Bangladesh, love to work on Web Technology, Computer Network, Accounting & Financial Reporting, Photography. Let's start scrolling for more information about me. I am Efthaqur Alam, studying BBA Final year in National University. Playing with technology is my passion & I really love this. As I am a student of BBA, major in Accounting, as it is also an information system, I want to work combining both IT & Accounting. HTML, CSS & framewokrk like Bootstrap is really fun, It will be more fun when building ERP or CMS. I believe my academic knowledge & my passion is always ready to solve your problem. June, 2015 I had joined Bangladesh-Korea Technical Training Centre as Guest Trainer (GT), I had taken class on IT Support Level 1 course. December, 2015 I have attended to IT Support (Industry Assessor) assestment, after completing training & being competent then I was certified by Bangladesh Technical Education Board(BTEB) & now working with BTEB as Industry Assessor. As I am Industry Assessor now, I don't take any session in BKTTC. Type your message & click!